North Adams area restaurants, cafes, bakeries, taverns, diners, and bars. Restaurants near North Adams MA, which once was among the most important and successful manufacturing cities in Berkshire county, as well as in all New England, prosper now that the city is enjoying a second act in the Berkshires cultural industry, led by MASS MoCA. In one of the world’s best examples of re-purposing obsolete industrial buildings, MASS MoCA, or the Massachusetts Museum of Contemporary Arts, opened in 1999, has earned it status as a peer with such other world class institutions as Tanglewood, Berkshire Theatre Festival, and nearby Clark Art Institute. See aslo: Clarksburg, Florida, New Ashford, MA restaurants and bars. Restaurants and bars in the northern Berkshires towns of Clarksburg, Florida, New Ashford, MA. Helping residents and visitors to North Adams find places to eat lunch and dinner, or to just gather with friends for drinks, snacks or dessert. 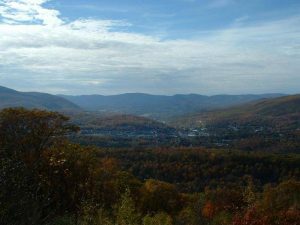 All these North Adams restaurants and cafes are close to Clark Art, Williams College, and the Williamstown Theatre Festival, and not too far from MASS MoCA and all the other arts and cultural attractions in the Berkshires. Listing are included for nearby towns of Clarksburg, Florida, and New Ashford, MA.